JFK signed the bill authorizing formation of the Peace Corps in an Oval Office ceremony. The legislation funded the agency with $40 million for it’s first year of operations. Already having a volunteer sign up list of 13,000, Kennedy aims to have placed 2,700 in the field by summer of 1962. 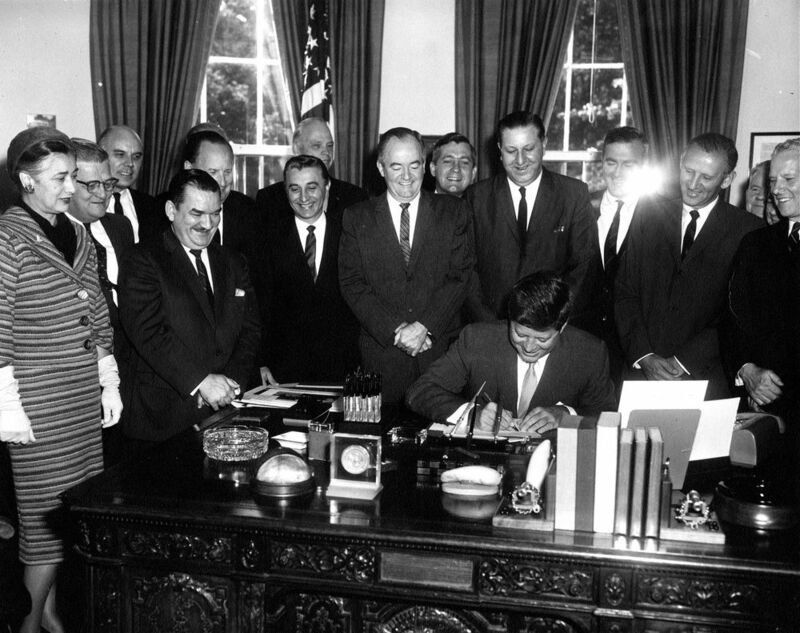 JFK signs the bill authorizing the Peace Corps. Photo courtesy John F. Kennedy museum. JFK signed 22 bills that morning, including bills authorizing $10 million to help communities with juvenile delinquency and a bill to desalinate brackish coastal waters to produce freshwater. In the afternoon, Kennedy flew to Hyannisport for the weekend.